30th Anniversary Richmonders of the Year: The Ukrop Family | Cover Story | Style Weekly - Richmond, VA local news, arts, and events. Ted and Katie Ukrop’s new Quirk Hotel opened in September. On Christmas Day, the Maple & Pine restaurant at Quirk Hotel is filling up quickly. 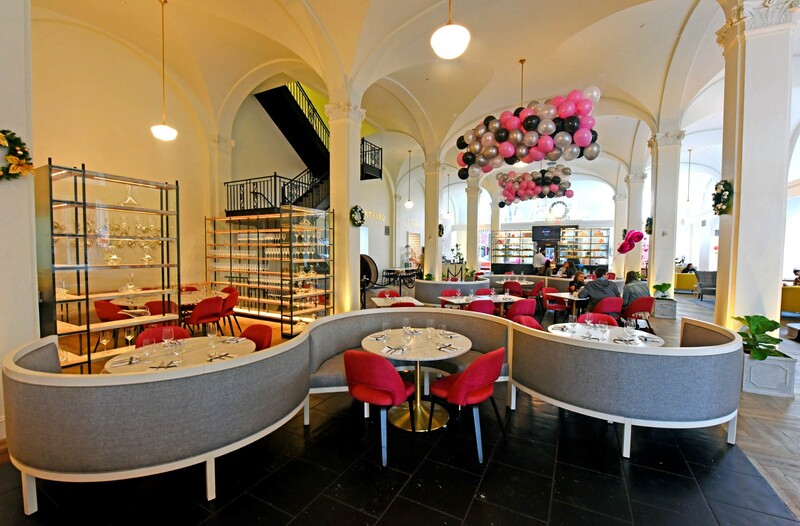 Diners are directed to pink seats along cozy, curved partitions. The airy lobby nearby has 13-foot ceilings that hearken to 1916, when the building at 201 W. Broad St. was a luxury department store. Once the showcase heart of downtown Richmond, Broad Street has held precious little to suggest its glittering past. For decades, the streets have been deserted on holidays. But with help from one of the city’s best-known families, that’s starting to change. 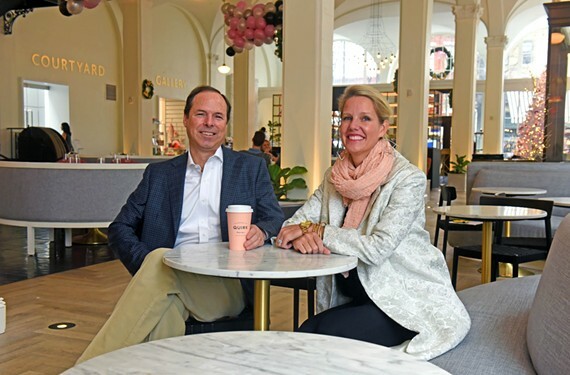 True to form, the Ukrop family has made Quirk Hotel a crucial element of the city’s efforts to become a thriving arts and tourism destination. Since opening Sept. 18, the boutique hotel has received raves from such media outlets as Travel and Leisure magazine and The Wall Street Journal. “It’s going great. We’re very pleased,” says Ted Ukrop, the son of James E. “Jim” Ukrop, who with his brother Robert S. “Bobby” Ukrop, is a patriarch of the clan. Quirk is the latest iteration of a family empire that started in 1937, when Joseph and Jacquelin Ukrop, Ted’s grandparents, opened a tiny, 500-square-foot store in the working-class Manchester section of Richmond. Quirk Hotel’s design and ambience, such as its contemporary first-floor and restaurant, and its bright new presence along Broad Street, have gained national attention. After years of disciplined labor and treating customers well, the family built Ukrop’s Super Markets into a regional food behemoth with 27 outlets, 5,600 employees and an enviable reputation. It was a sterling local brand, which made it all the more disappointing to customers when the family sold the chain in 2010 for $140 million to Giant-Carlisle, a division of Dutch food giant Ahold. Most of the stores now are Martin’s, which is among the local market leaders. 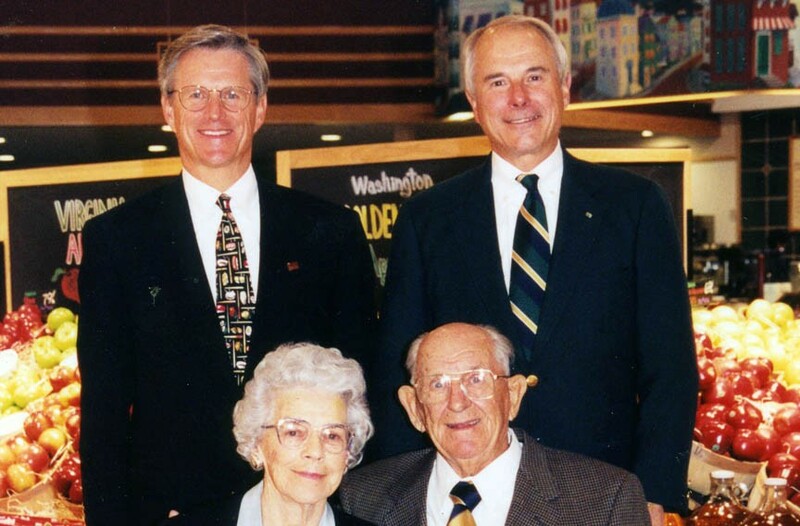 From the rich and solid base of Joseph and Jacquelin’s legacy, the Ukrop descendants have continued their family’s special brand of hard work, innovation, attention to customers, love for community and strict ethical standards based on their Christian faith. The Ukrops seem to have touched nearly every sector of Richmond, serving in myriad ways for decades. They are the 911 to call if a worthy community initiative needs emergency help. They are at the heart of significant local turning points. They are involved. Still hard-headed business people, they’re constantly setting up new businesses that meet a social sustainability test besides making money. For their active approach, cultural influence and longevity of work in Richmond, Style Weekly names the Ukrop family as the 30th anniversary Richmonders of the Year. Ardent philanthropists, the Ukrops are unique because they don’t merely stroke checks like faceless corporate gatekeepers. They get to know the people they’re helping. They jump into the trenches and work hard. Personal involvement is essential, whether it’s helping create the Monument Avenue 10K and Richmond Marathon, sponsoring the Christmas parade for years, championing a new kind of downtown performing arts center, or creating funding for community charities and local startups. 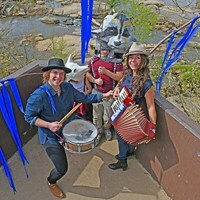 Along the way, the Ukrop name has come to emblemize the Richmond experience as much as ham biscuits, the James River and Gwar. “The Ukrops have really defined this recent period in Richmond’s history,” says William J. Martin, director for The Valentine, a private museum of city history. Conservative Richmond long has been criticized as regressive and obsessed with the past, making the Ukrops stand out. Like several of the city’s movers and shakers, the Ukrops are relative newcomers, rather than old-money families that can trace their lineage to colonial times but haven’t stepped up as much recently for the region. “It’s not simple being a Ukrop,” says Pam Reynolds, a prominent arts and charity patron known for her pageboy haircut, community work and flamboyant fashion. She’s served on numerous local boards with family members and is a close friend of Katie. Bobby and Jim Ukrop, standing, pose for a portrait with their parents, Jacquelin and Joseph. Joseph Ukrop was born in Henrico County on a farm owned by his family. They were devout Baptists of Slovak descent. He and his wife, Jacquelin, borrowed money and bought a grocery store on Hull Street that was 16 feet wide and 38 feet long. Their clientele were blue-collar workers, including employees of nearby cigarette manufacturing plants. Their first-day take was $23. Joseph was pleased. The country was still dealing with the Great Depression and making a living was hard. But the Ukrops held on, keeping things modest. They sold no alcohol and closed on Sundays. Joseph occasionally left his store to help farmers with their harvests. They instilled their children with their sense of values. 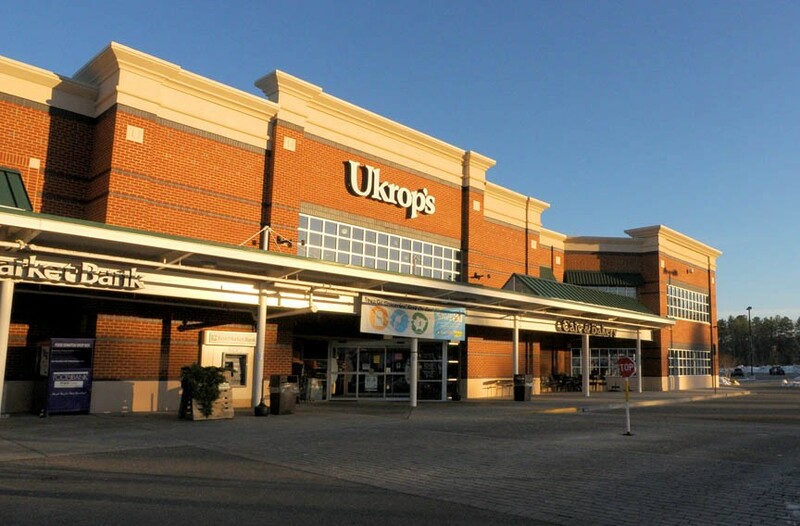 It took 26 years for the Ukrops to open a second store. By then, son Jim came to work and plotted expansions. His brother Bob joined the store in 1972. Together they fought it out with then-market leader Safeway by ensuring that their products were fresh and of high quality and that customers were treated properly. Like their parents, they held their religious beliefs firmly. They refused to open Sundays or sell alcohol, although they did sell tobacco products. New ideas came, such as introducing customer loyalty cards. During a spike in gasoline prices in 2008, they gave customers a break by offering cheaper fuel depending on their grocery purchases. They posted signs that said “Let’s Go to Church on Sunday,” although they changed them later to “Worship” to reflect religious diversity. The Ukrop’s store in Carytown was one of 27 outlets in the region before the company’s 2010 sale. They paid competitively and kept productive workers on staff into their 80s. They repeatedly made Fortune’s list of the best 100 companies in the country to work for. They started Ukrop’s Food Group to make potato salad and rolls with a Richmond accent and were leaders in buying locally produced vegetables, fruit, meats and fish. 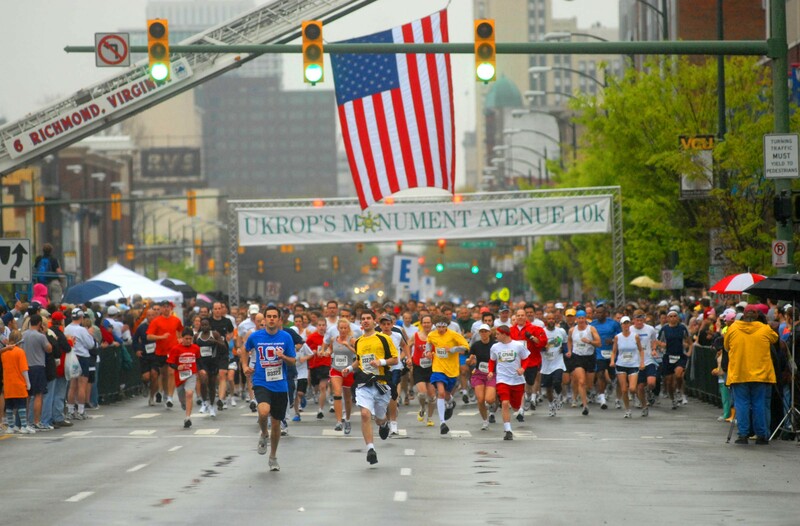 The Ukrop’s Monument Avenue 10K, organized by Sports Backers, attracts thousands of runners and revelers each spring. As with any independent business people, the Ukrops have had their share of bumps. Some problems were emblematic of Richmond’s midcentury population shifts and strained attitudes over what’s culturally acceptable. As Richmond’s white population streamed out of the city on freshly built expressways to suburban Henrico and Chesterfield counties in the 1950s and ’60s, grocery stores moved with them. The Ukrops tried to show they weren’t abandoning the city market entirely. 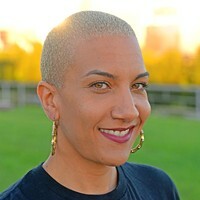 In 1992, they arranged for $700,000 in funding to help Jonathan F. “Johnny” Johnson open several inner-city food stores. They helped in other ways too, such as helping workers at Johnson’s Community Pride stores. But in 2004, Johnson shut his business down. 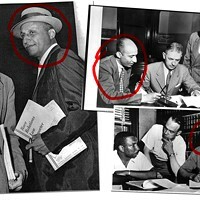 Relations were rougher with the late Ray Boone, founding editor and publisher of the Richmond Free Press. After years of an up-and-down relationship with the Ukrops, Boone claimed that Bobby Ukrop threatened to pull Ukrop’s ads from his newspaper when he disapproved of some content. Boone struck back with editorial jabs and, once, with a biting full-page ad. The biggest cultural flap was in the mid-’90s, when the Ukrops were offended by national radio jock Howard Stern, whose freewheeling show is filled with his signature sexual explicitity and satire. With it airing locally on modern rock station WVGO, now 106.5 The Beat, Jim and Bobby Ukrop organized a campaign to force Stern off the air. They stopped after drawing national criticism, and the radio station eventually canceled Stern. The censorship attempt was something Jim Ukrop later said he regretted. 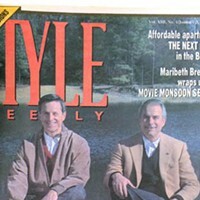 Bobby and Jim were named Style’s 10th annual Richmonders of the Year for 1994. They were cited for helping shift attitudes in the business community about the role that such leaders could play in re-energizing downtown. They led by example and made significant strides. Years later, Jim Ukrop took a chief role ushering in the Richmond Performing Arts Center, which opened in 2009. The public-private project, which became CenterStage, has had its cheerleaders and critics. A debate unfolded about city priorities. The project’s early days and complex financing often were characterized by a less-than-transparent approach. With its finances and direction yet to stabilize, CenterStage’s eventual legacy is unclear, though a new grant from Dominion Resources is scheduled to re-christen it as the Dominion Arts Center. But Ukrop was in the mix for something he believed in, and kept pushing forward. 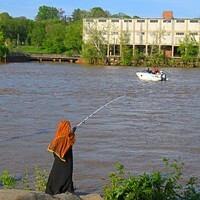 His vision and intention seemed focused on creating what he saw as a necessary cultural amenity — and one that would support downtown revitalization. By the 1980s, the Ukrops’ food business was a major success. It had gone against richer national chains in its home market of Richmond and carried off a distinctive branding. In time, they expanded into Fredericksburg and Charlottesville as well as into a niche store called Joe’s Market, after Joseph. The family set up First Market Bank, a community financial institution that used grocery stores for many of its outlets. With a central bakery as a base, the company started supplying its own baked goods and, eventually, prepared foods. By the 1990s, Ukrop’s brand products numbered more than 100 and typically included meatloaf, soup and spoon bread. The same sort of canniness set up the Ukrops for their next big play — selling most of their food empire. By the 2000s, it was clear that the Richmond market was getting smothered with higher-end stores and services. Kroger started adding more sophisticated entrees. A Whole Foods opened near affluent Short Pump. Wegmans, perhaps the leader in high-end stores, was scouting the Richmond market. The lower end started seeing more plays as well, such as Wal-Mart and Aldis. 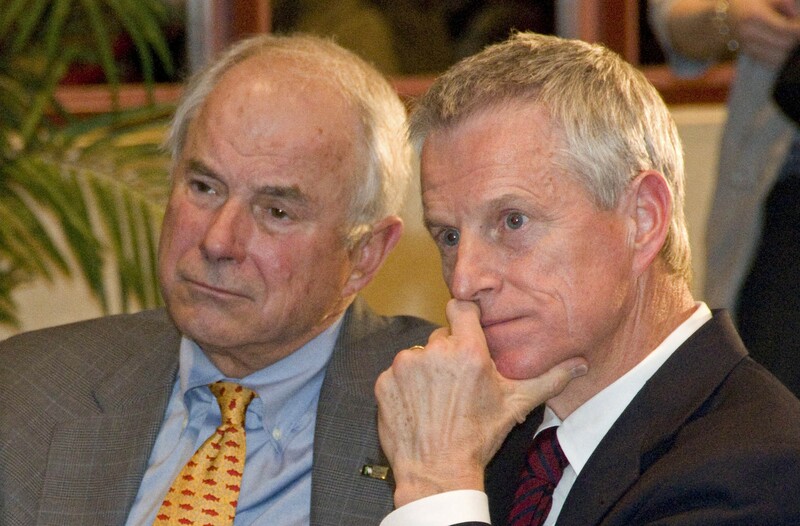 At a press announcement in 2009, Jim and Bobby Ukrop share the news that the grocery chain their parents founded was being sold to Giant-Carlisle, which operates most stores now as Martin’s. Among another reason to sell was that the grocery business lost $1.4 million in the third quarter of 2009, according to Office of Thrift Supervision filings, as reported by Richmond BizSense. Royal Ahold of Holland bought the property for $140 million in 2010 through its Giant-Carlisle subsidiary. Ukrop’s Homestyle Foods continued to supply its old stores and started selling through new outlets, such as Kroger. First Market Bank eventually was sold as well. Today, the move seems prescient because Ahold is merging with Brussels-based Delhaize Group, which owns Food Lion stores — the market leader in Richmond. Future store closings seem inevitable even as new ones move in.